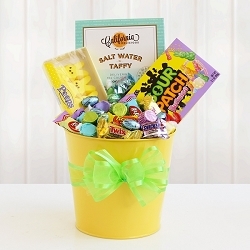 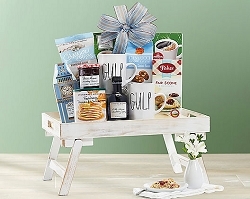 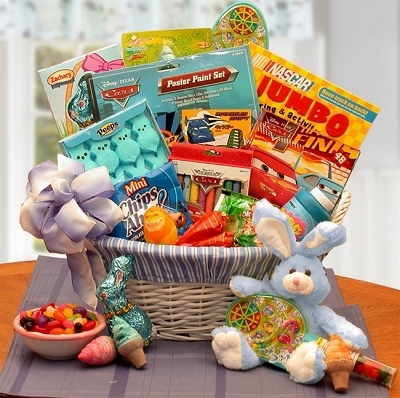 This adorable Easter basket is filled to overflowing with everyone's favorite Easter treats. 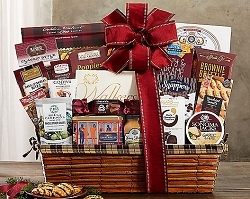 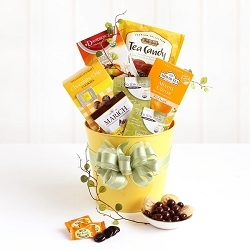 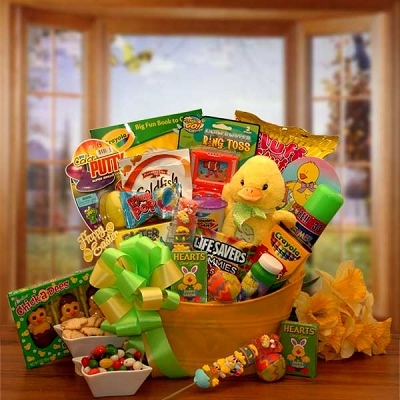 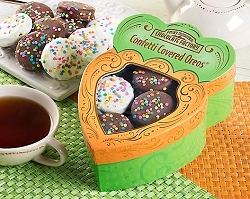 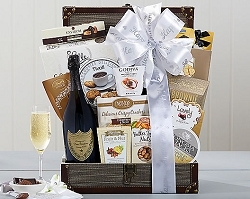 Hop into the hearts of all your loved one with our Easter Parade Gift Basket. 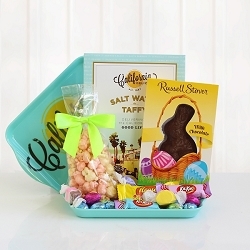 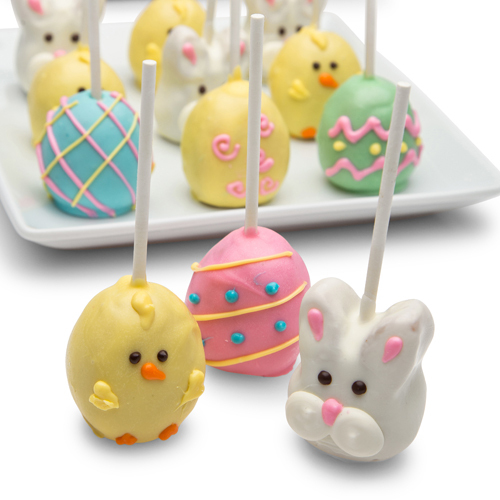 what a fun way to send Easter wishes to everyone on your gift list! 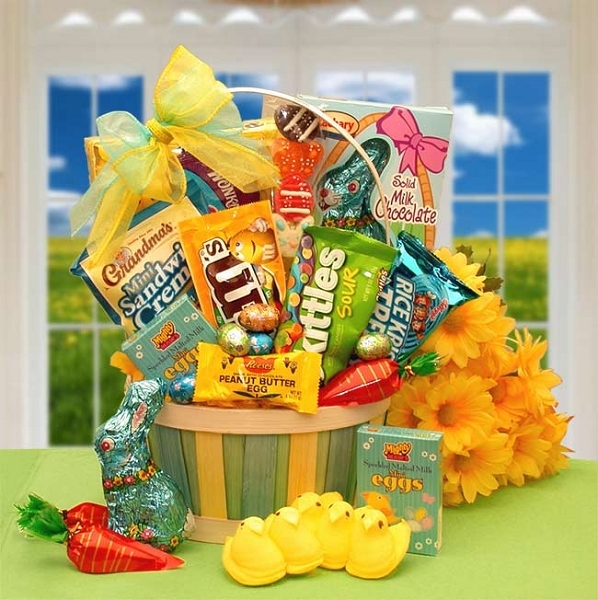 A pastel spring woodchip gift basket, Peanut M & M candies, Tropical Skittles, Grandma's cream filled cookies, Malted eggs, Rice Krispies Treat, Wonka's Sweet Tarts candies, Easter marshmallow Peeps, mini Reese's Easter egg, 6 foil wrapped milk chocolate Easter eggs, mini carrot with jelly beans, A 8" jelly and marshmallow Easter scene sucker and a Milk chocolate foil wrapped bunny. 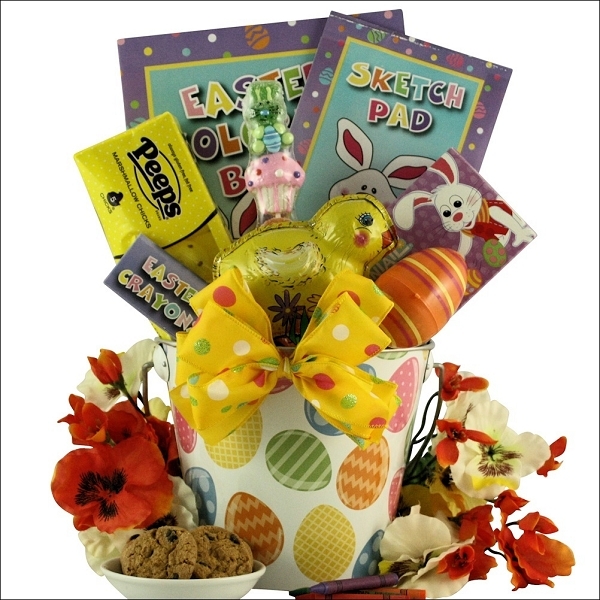 Finished with a hand made bow and delivered with your Happy Easter Wishes! 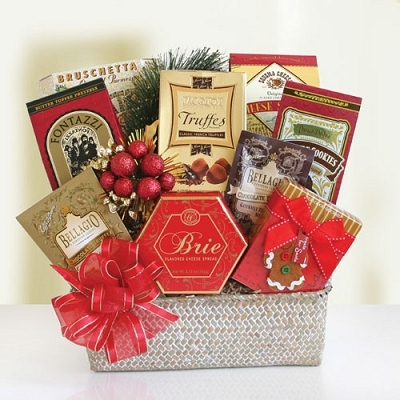 Gift measures 13" tall by 6" wide.